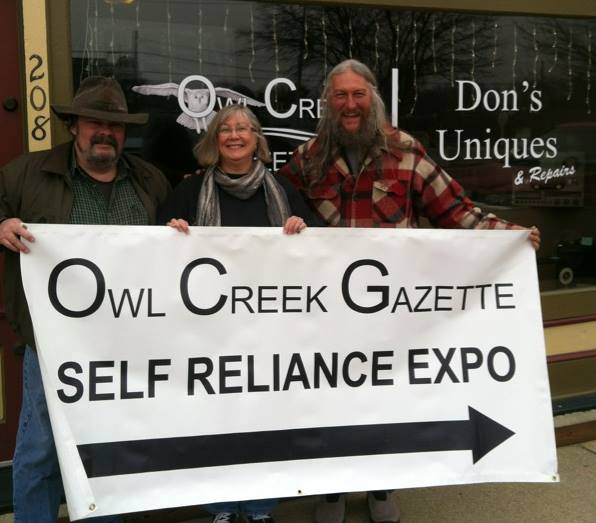 OCG co-editors and organizers of the Owl Creek Gazette Self-Reliance Expo, Don and Jan Stover, are joined by Expo Keynote Speaker, Eustace Conway, star of History Channel's Mountain Men series and founder of Turtle Island Preserve. Together they enjoy a moment in time while holding the Expo banner in front of the Stovers' office/shop at 208 South Second Street in Greenville, Illinois. 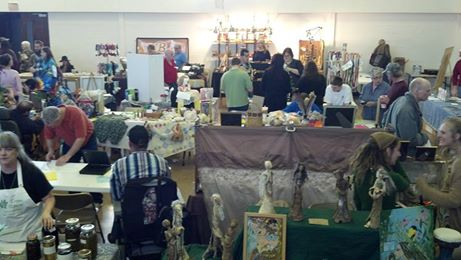 "Thanks for the first annual expo. 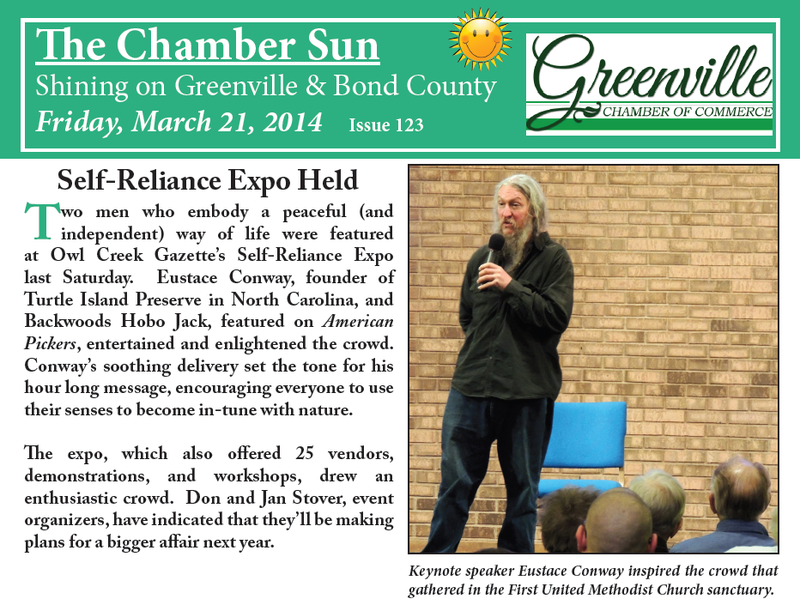 Greenville is fortunate to have ambitious folks willing to take a risk and bring unique people and interesting items to town."